The Home Run Formula is a way of evaluating patient's that most N.E.T. doctors use. This allows us to treat the patient as a whole, instead of treating individual parts of the body or symptoms. This allows us to help your body function at its most optimal level. There are four key "bases" in the Home Run Formula. 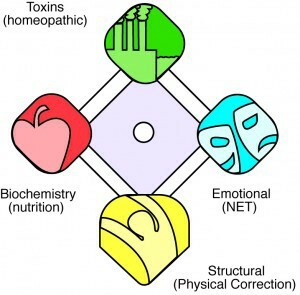 Home base (structural), First Base (Emotional), Second Base (Toxins), and Third Base (Nutritional). The structural component of the home run formula is the aspect that most chiropractors look at. This is composed of your bones, joints, muscles, tissues, ligaments, etc. All of these form your Nervous System. When their is interference within your nervous system, what we call the subluxation, then your brain is not able to communicate to the rest of the structures in your body and this is what causes dis-ease. This can be caused by any truama to the body, which can be car accidents, falls, surgery, stress, bad posture, etc. When this interference is allowed to stay in our body then it begins to caus havoc within our body, which ultimately will lead to the biggest symptom that brings most people into the chiropractor and that is pain. Pain and disease is our bodies last line of defense that tells us that there is interference within our nervous system. In order to maintain optimal health this interference needs to be removed from the body, so that your brain can communicate 100% to the rest of the body. 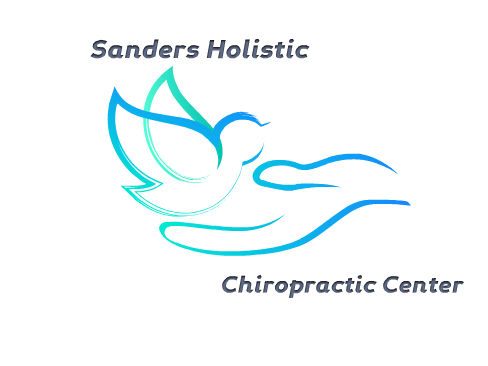 My job is to establish these areas whether they be subluxation, muscle restriction, etc, and help your body to remove them. This is done through the adjustment and soft tissue work. This is where N.E.T. comes to play an important factor to reaching the highest level of health you can. Through the help of an N.E.T. practitioner we can establish these areas with you, and help you to eliminate the pent up stress in the body, so that your body can finally recover and move forward. There are so many different forms of toxins now a days. Some we are very aware of and others most of us have never heard of. Toxins can be found in our food, air, water, soil, etc. but can also be found chemically within our body. In small amounts toxins can have no effect on the body, but when allowed to accumulate they can cause harm or even death. For example, If you are in a burning room for a short period of time you will have discomfort in your breathing, but you can recover it. If you remain in the burning room for a sustained period of time your lungs can break down and you will eventually die. This is a very drastic example, but similar to how toxins can work in our body. The main difference being that if you are in a burning room you know the toxins are effecting you, vs not knowing when your body is accumulating too many toxins within the body. Through the N.E.T protocol we are able to locate the toxins that are over produced in our bodies, eliminate the stressor that is causing it, and can recommend a rememdy to help extinguish these toxins. Nutrition can play such a huge factor in our day to day lives, especially with the American diet the way it is. I'm sure you've been around those people that when asked what their favortie vegetable is and they reply by saying french fries. While it is funny at the time, it also comes to realization that this is becoming a wide variety of our population. When surveyed many people admit to not eating any fruits or vegetables within a weeks time. Fruits and vegetables are very important in providing the body the nutrients that it needs to stay healthy. While N.E.T. cannot make people eat more fruits and vegetables we can provide help to balance out your digestive system, as well as recommend nutrients and supplements that will help replenish the depleted nutrients and minerals within your body.